I mentioned last week about the whining in content marketing, and two recent (excellent) blog posts both reinforced my pre-conceived notion (and who doesn’t love that!?). First is “The Great Content Marketing Buzzkill” by Barry Feldman. The second post, which isn’t negative at all, but which has a line in the intro, “some have suggested that content marketing may be its own worst enemy,” that got me thinking is: How Content Strategy Works by Jeff Gibbard and is a very nice overview. 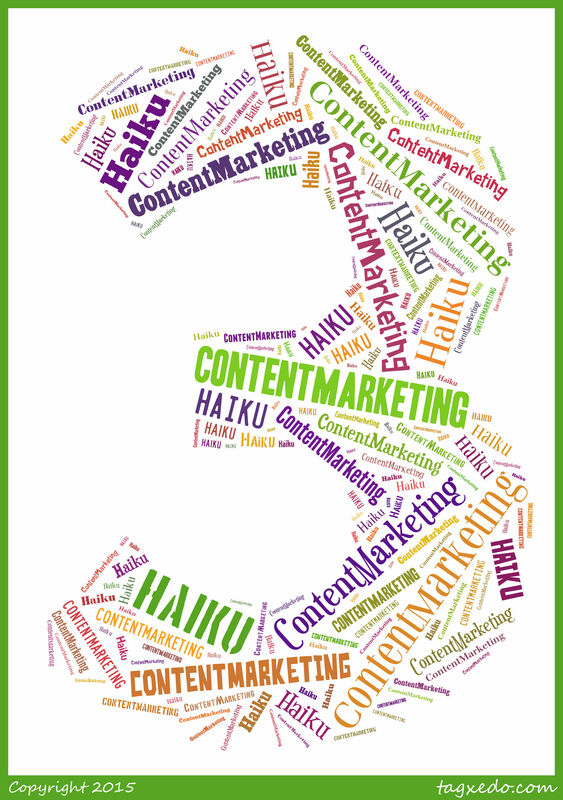 I ran haiku contests off and on for years, so, for this, the second iteration of 3 Things Thursday: 3 Content Marketing Haikus. Snuffling for the easy path. just not in one month. In searching for the 5-7-5 haiku rhythm, I came across this post that discusses why that isn’t/shouldn’t be true. Interesting read — if you’re interested in haikus, that is: Why No “5-7-5” (and, yep, I chose to totally ignore this).